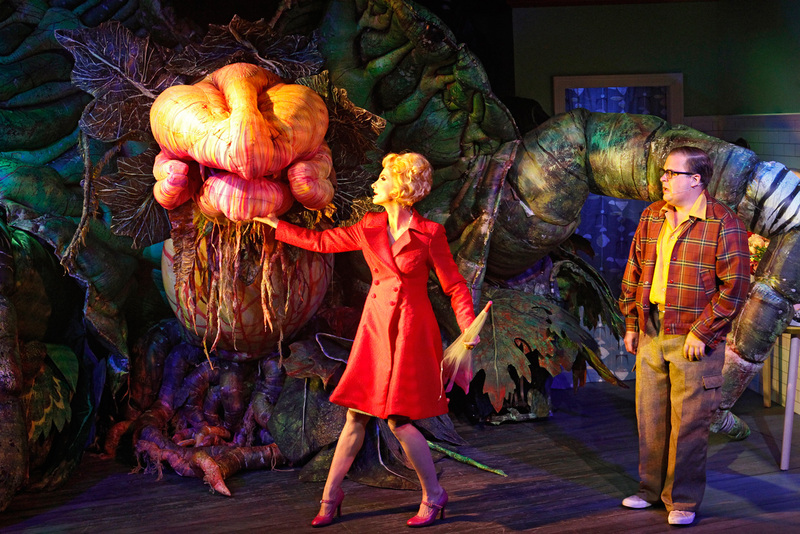 The cult musical with the addictive mainstream score, Little Shop of Horrors is given as ingenious and well cast a production as fans could possibly to hope to see. When a total eclipse of the sun delivers a strange and interesting plant, the Audrey II, humble shop assistant Seymour Krelborn sets out to reverse the fortunes of Mr Mushnik’s Skid Row florist shop and win the heart of beleaguered fellow sales clerk Audrey. 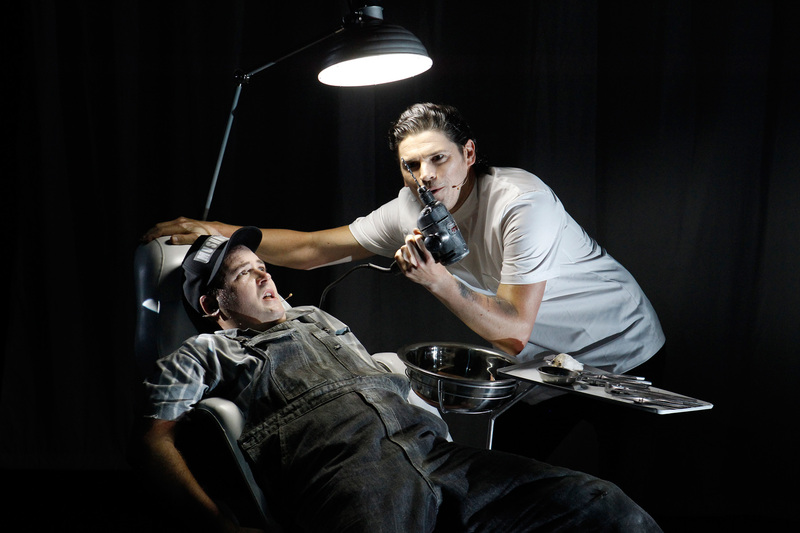 From its humble origins Off-Off-Broadway in 1982, Little Shop of Horrors has continuously played professional, amateur and school seasons around the world. The 1986 movie musical adaption gave the show’s popularity an early boost, but there is no beating the full score and pitch-black ending of the stage version. Adapting the original 1960 horror comedy for the stage, composers Howard Ashman and Alan Menken, of The Little Mermaid and Beauty and the Beast fame, penned a songbook full of infectious, toe-tapping numbers that cast a deceptively cheery light over the subversively wicked material. Ashman’s book manages the rare feat of transcending what is ostensibly a satire to include a love story that is legitimately affecting. Petite and cripplingly insecure, Hannaford’s Audrey is a jangling raw nerve; even the air she breathes seems to cause her ripples of discomfort. Not only blessed with a powerhouse singing voice, Hannaford has brilliant comic timing and delivery, scoring many a laugh from her unique, fresh delivery of familiar lines. Despite the outlandish scenario, Hannaford anchors Audrey’s aching vulnerability in reality, amplifying the audience’s responses to the character’s pain and fleeting moments of joy. In an inspired choice, director Dean Bryant has Hill voice the Audrey II. Not only does this provide a tour de force opportunity for Hill, who effortlessly provides the monstrous plant’s voice while completely maintaining Seymour’s body language, but also creates the intriguing angle that Seymour is projecting the plant’s deadly instructions from his own mind. This makes the plant a kind of alternate personality for Seymour, allowing him to tap into dark recesses beneath his meek, well-mannered persona. Bryant’s slick direction contains plenty of surprises while still showing absolute respect to the source material. The horror element is well realised, and the comedy, played completely straight, is delightfully effective. Another clever touch is having the Urchins speak with the sort of Hispanic accents that new Americans would have had in the 1950s. Owen Phillips’ set design supports the off-kilter story with a set of perilous angles on the diagonally raked set of the store. Use of a simple curtain at the front of the store is a clever touch that covers scene changes and is also a screen for the occasional narrative-enhancing animated projections (by Jamie Clennett). 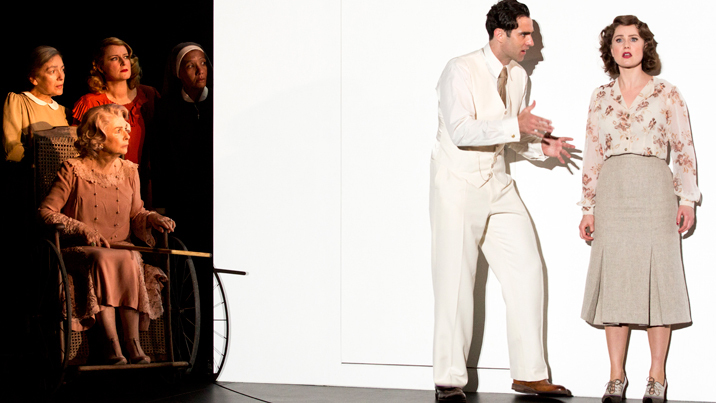 Beginning in noirish black and white, a highlight of Phillips’ design is the production’s spectacular jump to Technicolor at the start of act two as the florist shop achieves incredible success. The ever-increasing puppets for the Audrey II, by Erth Visual & Physical Inc, are on a most impressive scale and are fashioned from a range of attractive, tactile materials. The final Audrey II is a sight to behold, and is a highlight of the production. Tim Chappel’s characteristic wit and flair are evident throughout his costume designs; he even throws in a quick nod to Priscilla as the Urchins parade out in their final plant-consumed costumes. 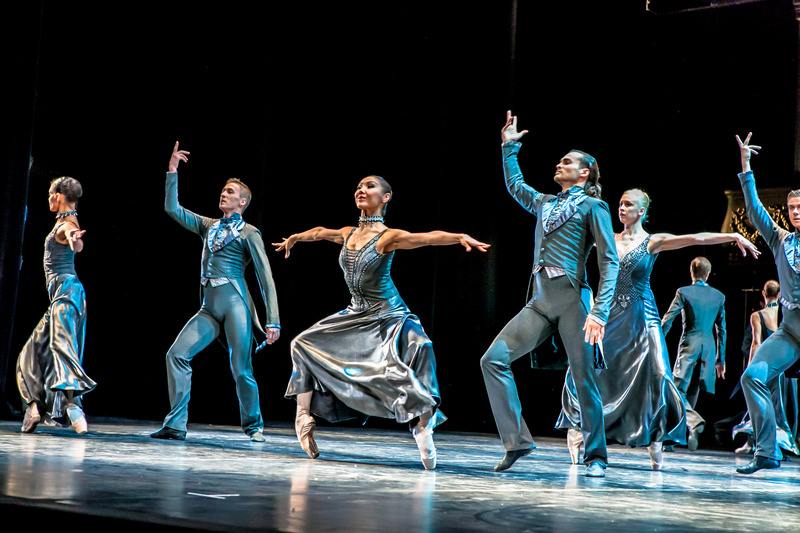 Josie Lane (Chiffon), Chloe Zuel (Ronnette) and Angelique Cassimatis (Crystal) have the best of Andrew Hallsworth’s nifty choreography, which pays homage to any number of classic moves from the era. Working with a company of only nine, Hallsworth creates interesting configurations while also ensuring the movement comes seamlessly and naturally from the situations. 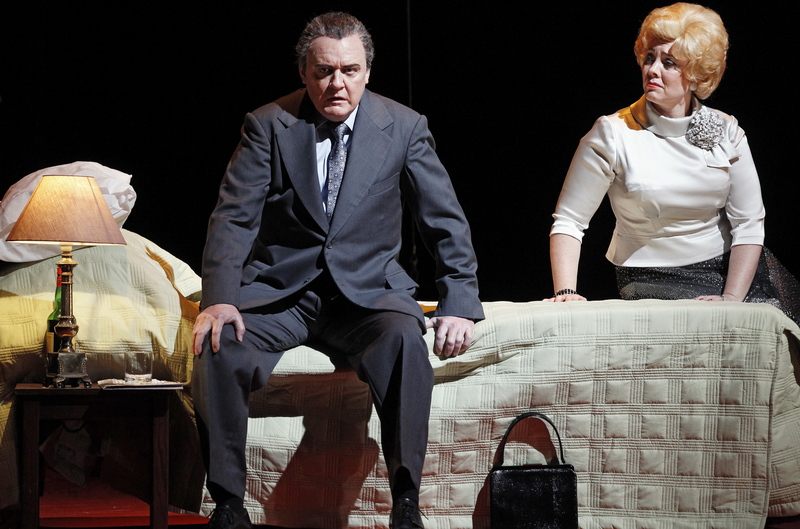 If there is one creative element that let down the show on its Melbourne opening night, it is the harsh sound design, in which the vocals tended to be unnecessarily loud. Hopefully designer Jeremy Silver will tweak and remedy this aspect quickly as the season progresses. Lane, Zuel and Cassimatis have plenty of zesty appeal as the sassy urchins. 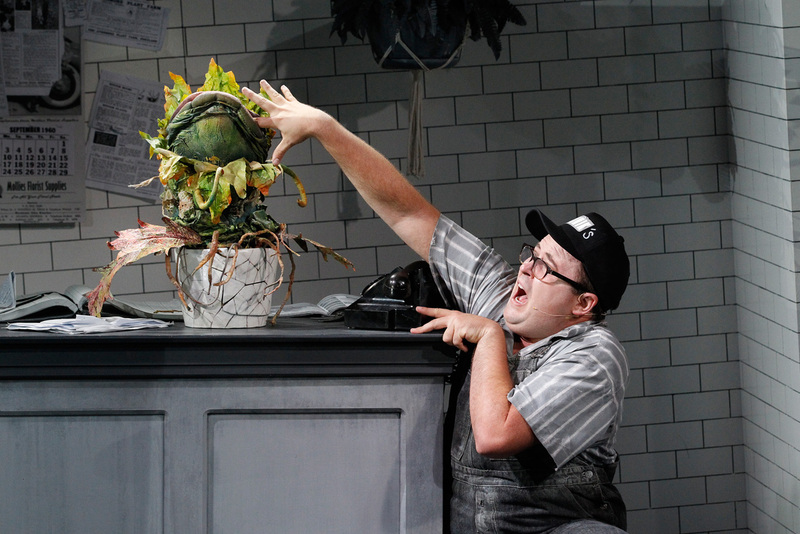 Avoiding sentimentality, Tyler Coppin brings an energetic intensity to perpetually irritated florist Mr Mushnik. Scott Johnson lands all the uncomfortable laughs of devilish dentist Oren Scrivello. Aided by some flashy costumes from Chappel, ensemble member Dash Kruck makes the most of his swift series of three cameo appearances as talent agents and reporters swoop in on Seymour in act two. 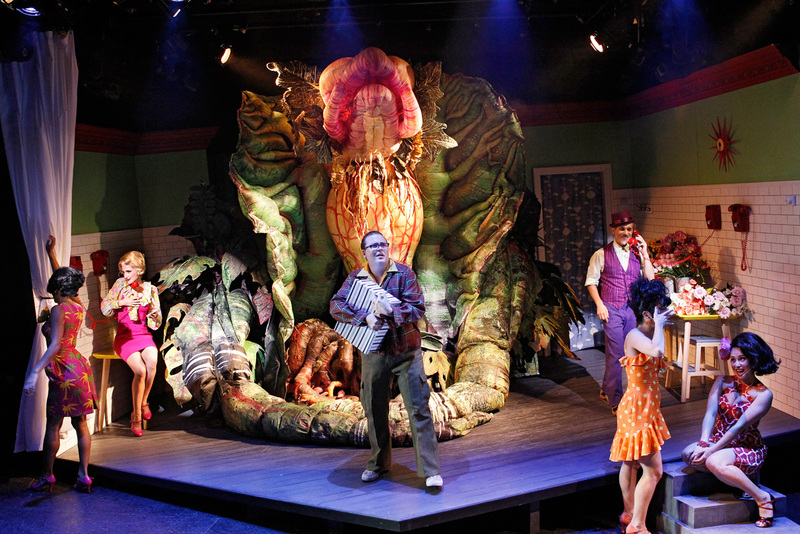 Lovers of Little Shop of Horrors will thrill at the ingenuity and sheer talent of this new production. 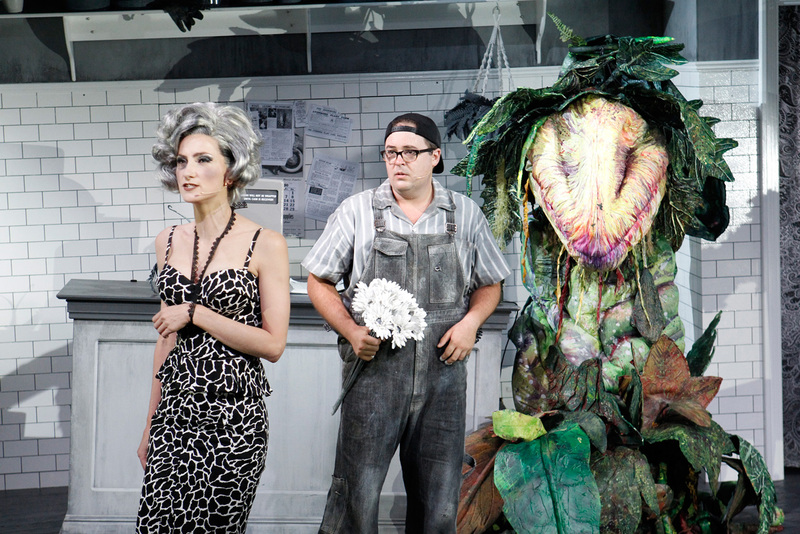 An instantly accessible show, Little Shop of Horrors is a terrific night out for newcomers and long-term fans alike. 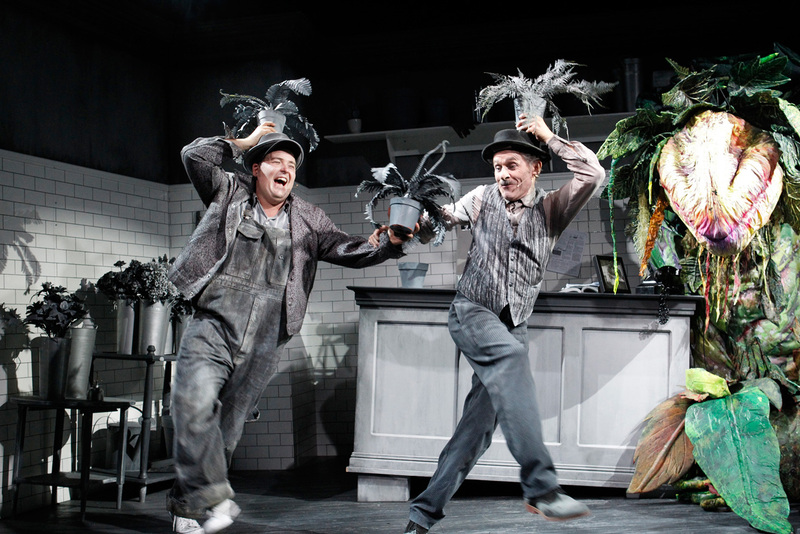 Little Shop of Horrors plays at Comedy Theatre, Melbourne until 22 May 2016 before travelling to Canberra Theatre, Canberra, Playhouse Theatre QPAC, Brisbane, His Majesty’s Theatre, Perth and Roslyn Packer Theatre, Sydney. Now, I adored this as a 17-year-old, when I saw the original Off-Broadway production in the East Village, but was underwhelmed by the over-produced Broadway revival 20 years later. Would love to see a fantastic stage version of it again. I used to watch the cheap-o Roger Corman film version on late nite television as a grade schooler. Plus, I highly recommend the “director’s cut” of the Frank Oz 1986 musical film, which is superior to the version I watched in cinemas three decades ago. And, as usual–great work, Simon! Thanks Mark. I only just became aware of the director’s cut so I will definitely have to check that out. I used to listen to the 1986 movie soundtrack over and over. This version was a bit bigger than off-Broadway but definitely not overblown. Rather ingenious in fact. Thanks for your ongoing support Mark.